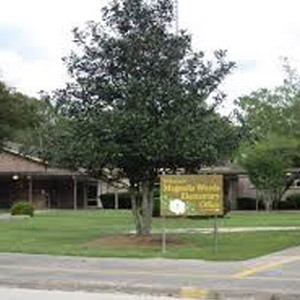 The Magnolia Woods Swim and Racquet Club is a private organization whose purpose is to provide recreational opportunities for residents of the Magnolia Woods families. Magnolia Woods Elementary has been described as “one of the best kept secrets in Baton Rouge.” However, our faculty doesn't want it to remain a secret. We want to share our accomplishments and special attributes with you in hopes that you will consider enrolling your children at our school. a designated Arts Integration program. Each month, the Magnolia Woods Garden Club recognizes residents whose skill and love of gardening beautify the neighborhood. While this neighborhood organization is not a part of MWCA, the civic association supports their efforts to recognize residents whose properties add to neighborhood's beauty.